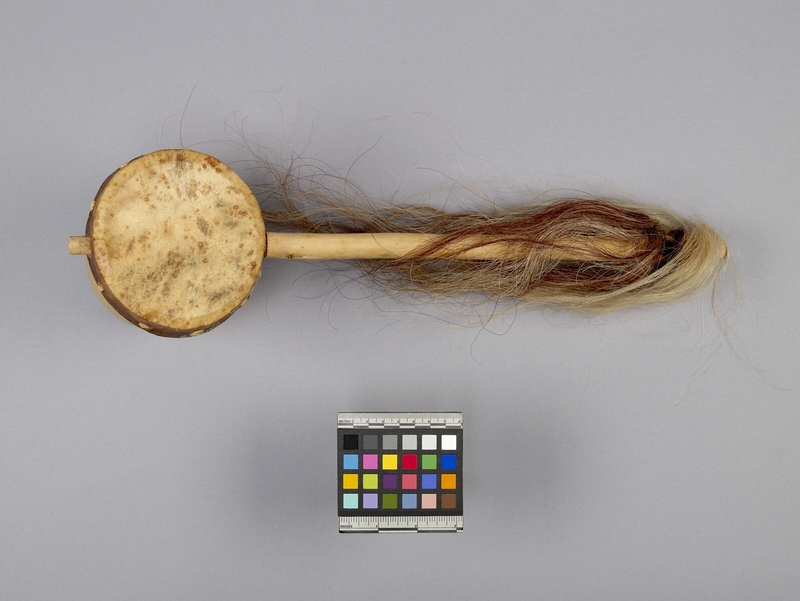 Item number 734/7 a-b from the MOA: University of British Columbia. 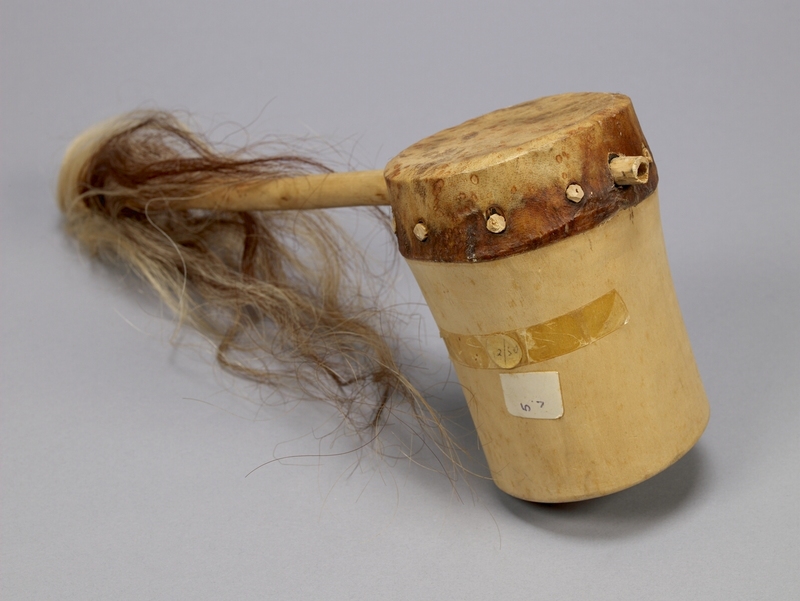 A spike fiddle instrument, formed of a hollow cylindrical wooden drum covered with skin, with a stick through it, the far end of which has red-brown and light brown hair attached. 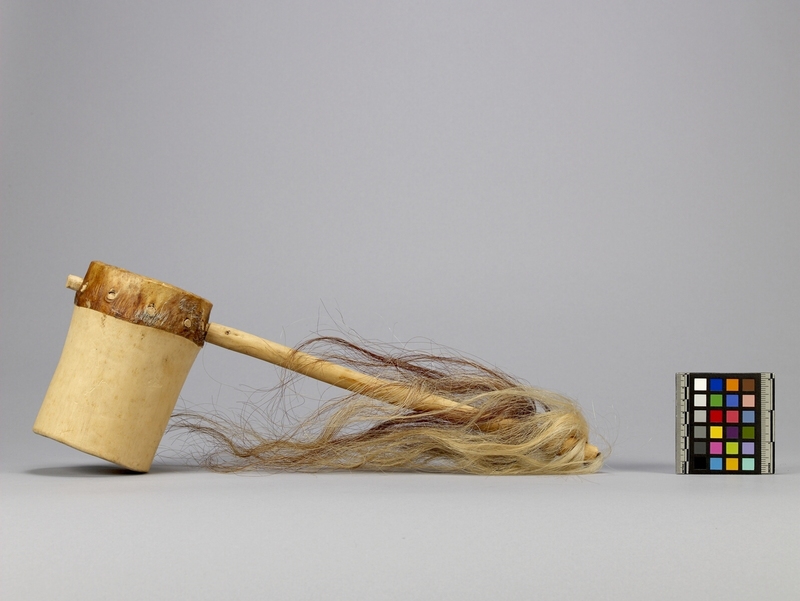 A small stick which tapers down and has fibre wrapped around near the tapered end goes through the hair end of the sick. Played with a bow. See 734/9.